"Rotary International has taken up a focused program Wash In Schools (WINS) The objective of this project is to improve school infrastructure so that children do not drop out. 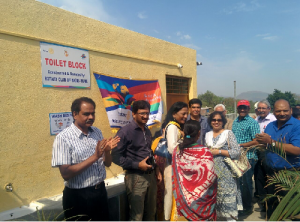 Under this program Rotary Clubs provide eLearning hardware and software and construct toilets especially for girls. Latur region in Marathwada has been experiencing draught situation for last 5 successive years. It was identified that there was a dire need for drinking water in the community, as impure drinking water is the cause of most disease. 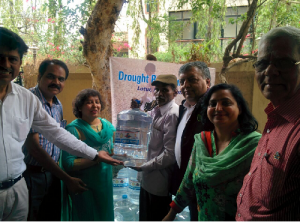 In association with Jamna Auto Industries Ltd. and Rotary Club of Latur, Rotary Club of Nigdi-Pune commenced project on distribution of drinking water in water parched district of Latur in Marathwada. This is for the underprivileged people. 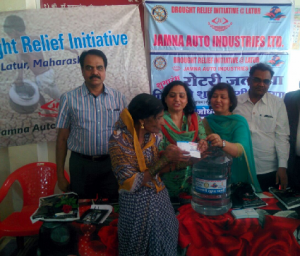 President (RC Nigdi) Rtn Ranu R Singhania and Ms. Sanyam Maratha, Head-CSR Jamna Auto, distributed water jars to the needy on 11 May 2016. This project is initiated by our own PP Sushil Sahani. 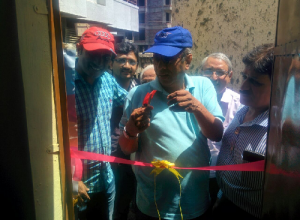 Service Director Pravin Ghanegaonkar also was present on the occasion. Initially, the project is to supply 500 jars of 20 ltrs capacity drinking water daily for next 30 days. The project is likely to be scaled up. A card system has been created where the underprivileged will be entitled to collect one jar every 2-3 days (depending on strength of family) for drinking purpose only. We have donated 45 e-learning kits (popularly called RDEP) to 45 different schools in PCMC, Maval and Khed area. 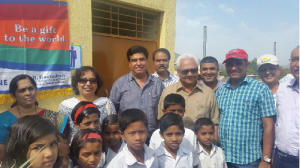 Depending on the strength of the school, either a OHP or a TV were given to the beneficiary school. 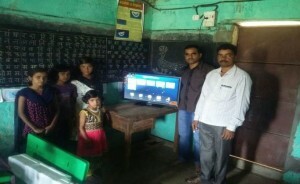 Each kit comprises of a Computer, an OHP / TV, and software right from Class I to X (both in English and Marathi). The course is as per Maharashtra Board. These e-learning kits are not a substitute for the teacher, rather they complement his / her efforts. All kits come with a three year warranty and free upgrade in terms of syllabus. 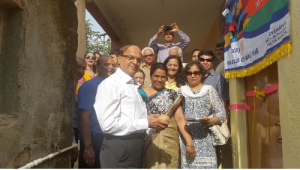 Earlier on 17th Oct 2015 several Rotarians had donated grains etc. to support this school. Ethiopia has a population of more than 9+ crore population & as per WHO more than 40 lakh population is blind due to cataract. To avoid this blindness, our club decided to supply 10 phaco machines to 10 regions of Ethiopia. As of now the whole country has only 1 phaco machine. These machines will be supplied to ten Government hospitals. Doctors from these hospitals will be trained in using these machines in India as part of this project. AMCs cover these machines to ensure that they perform during the next five years without any deterioration. India has largest no of Diabetics in the world. The lack of community based screening programmes has led to patients being detected with chronic kidney disease(CKD) at an advance stage. 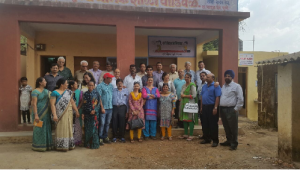 We took up this project along with Narmada Kidney Foundation, with the aim to help such people.The project aims to render help for screening camps, awareness, counselling, early detection & treatment, partial financial help etc. The project cost is USD 72575. RI Dist 3131 & 5170, RC Cupertino has supported this project. The project is expected to be completed by 30th June 2016. Surgery camp for hand & cosmetic corrective, general surgery, cancer, cataract & squint was organised on 6th Dec 2015 in association with DY Patil Medical Hospital & Research Centre at Pimpri. 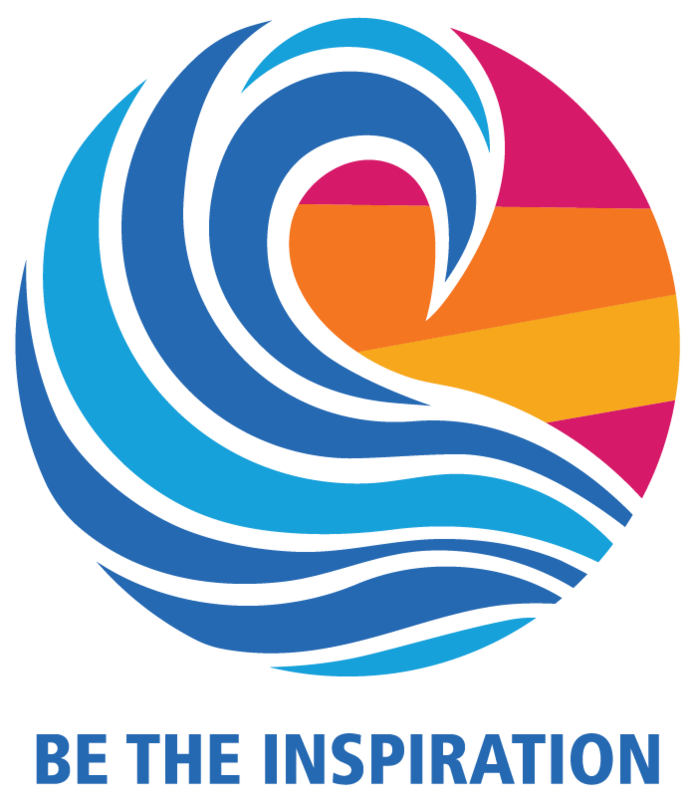 14 other Rotary clubs i.e. Pimpri, Pimpri Town, Chinchwad, Chinchwad Morya, Pradhikaran, Alephata, Junnar Shivneri, Narayangaon, , Manchar, Dehu road, Lonavala, Chakan, Rajgurunagar & Chakan Airport also joined hands for this project. 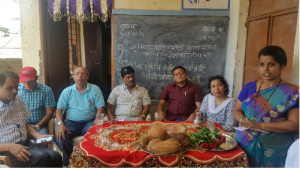 Renowned doctors from our club as well as invitees, Dr. Pankaj Jindal, Shankar Subhramanium, Gajanan Kanitkar, Sanjay Devdhar, Sanjeev Date, Mayuri Rajapurkar, Noel Britto, Sharan, Bharat Raut & team of DY Patil performed the surgeries. 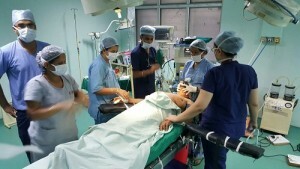 A total of 80 surgeries were performed. As on date all the patients are doing well. At an expense of Rs. 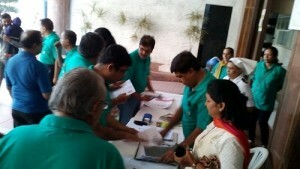 2 Lacs, 80 families benefited.